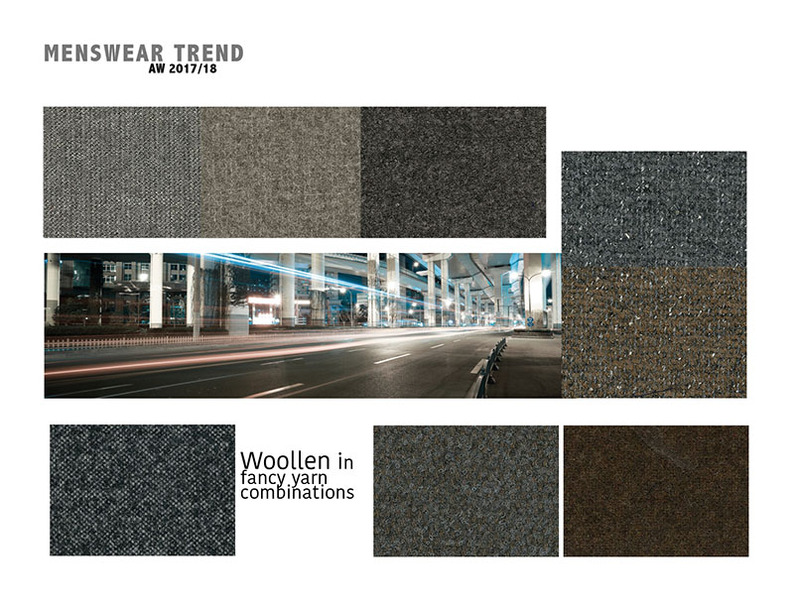 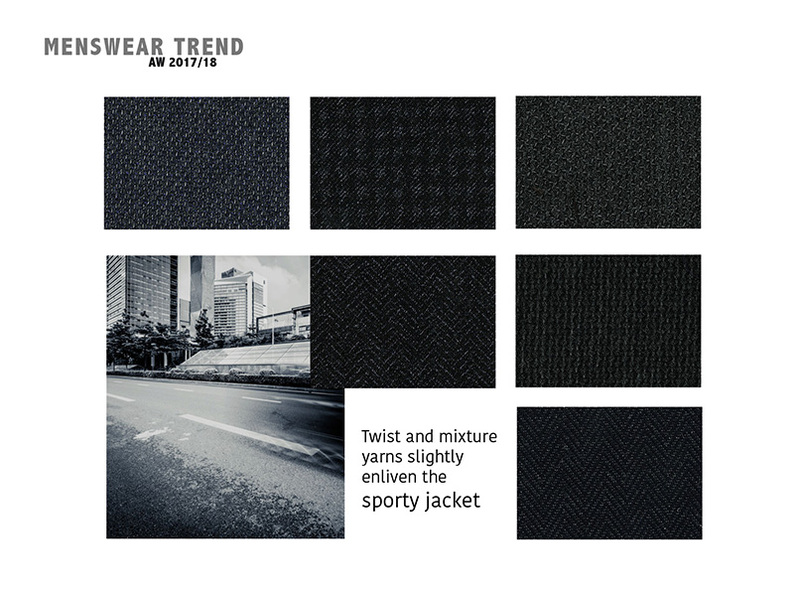 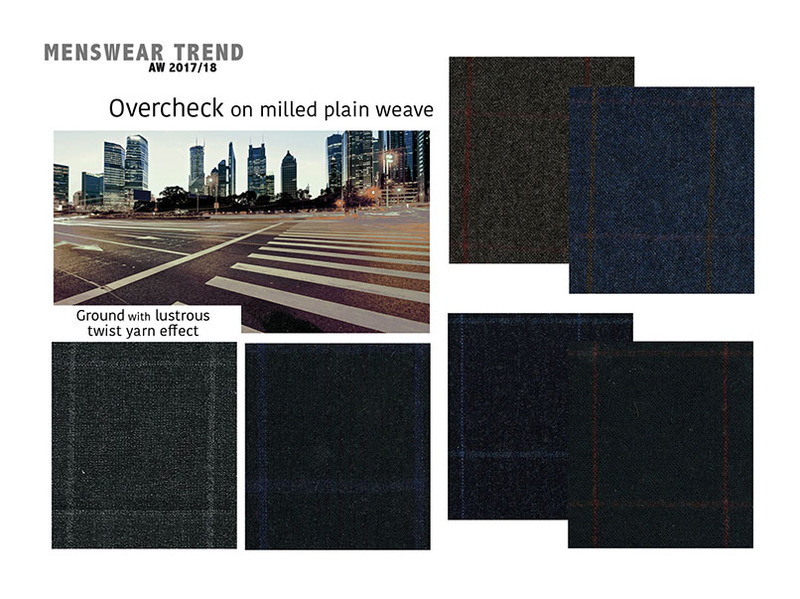 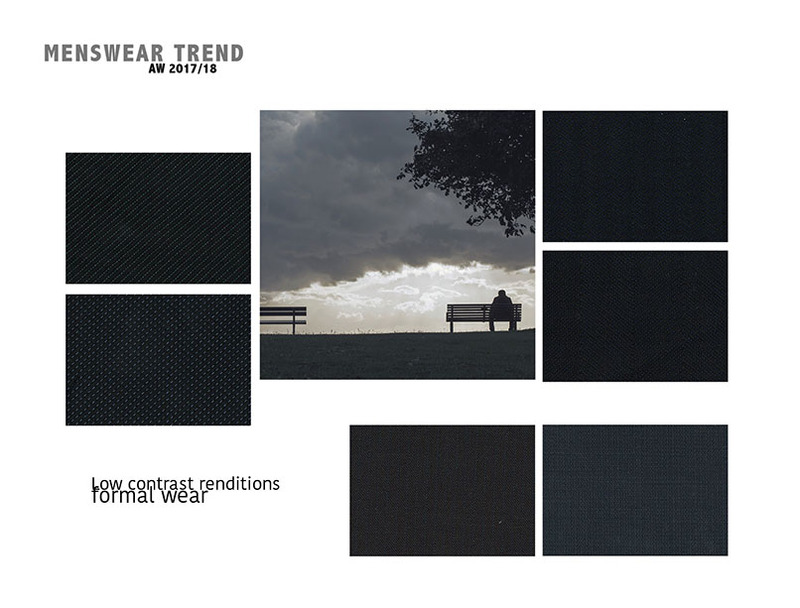 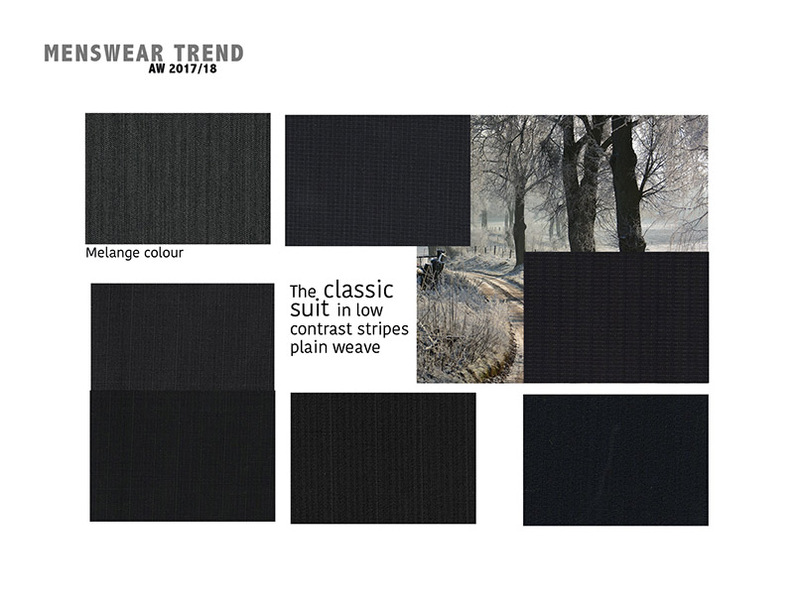 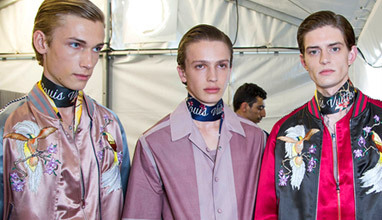 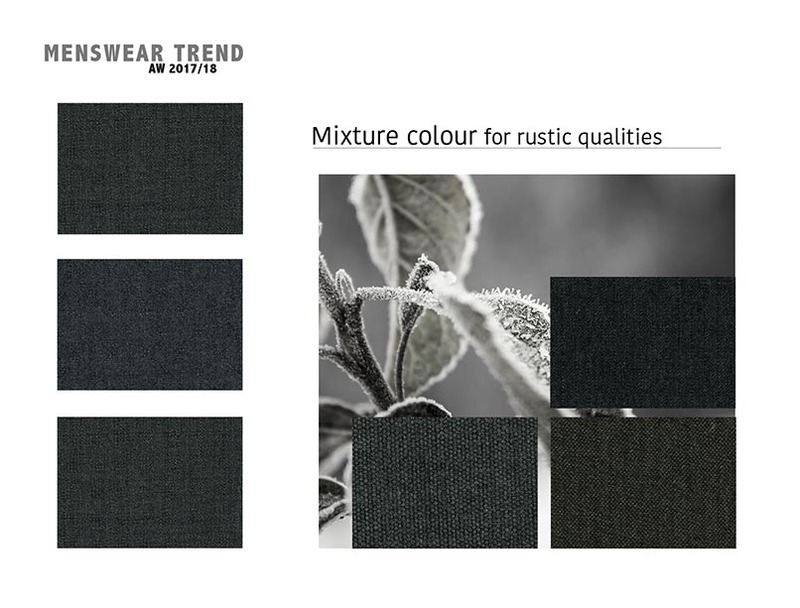 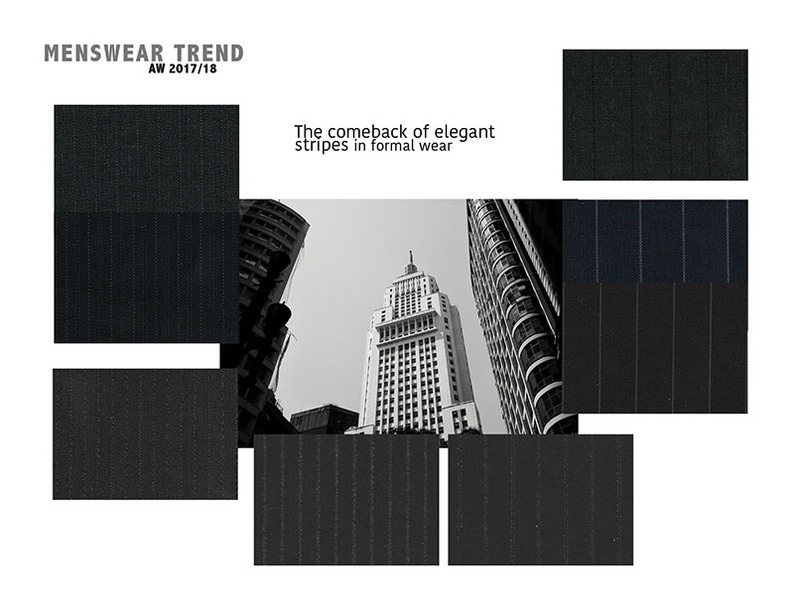 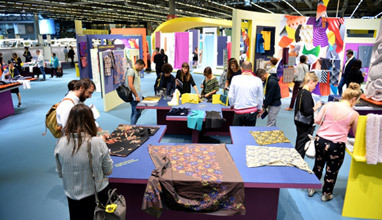 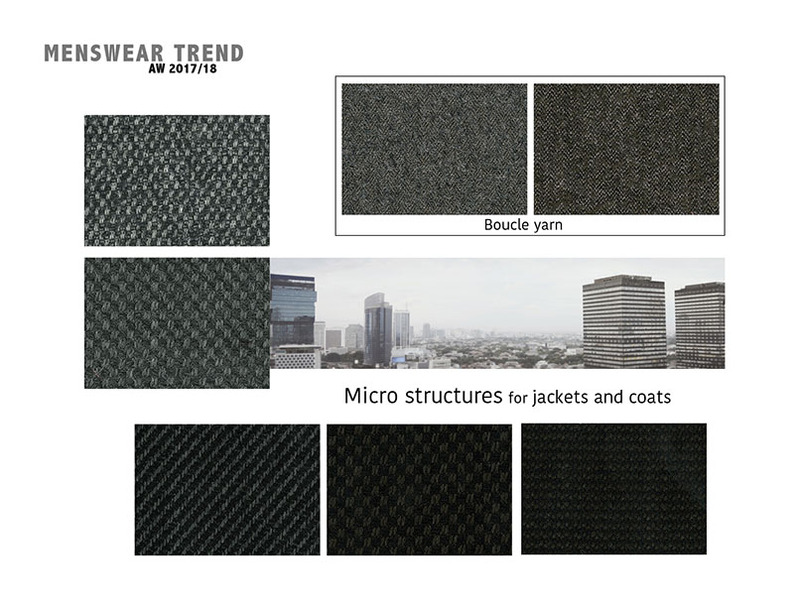 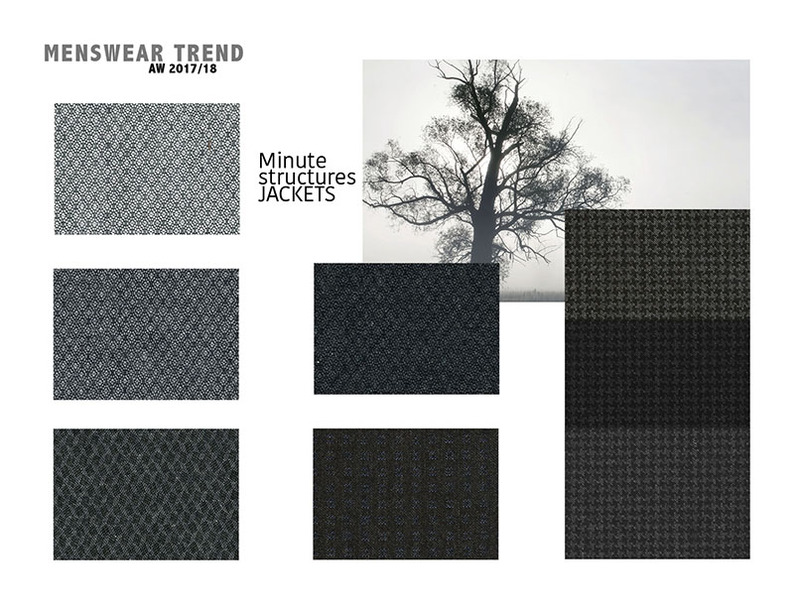 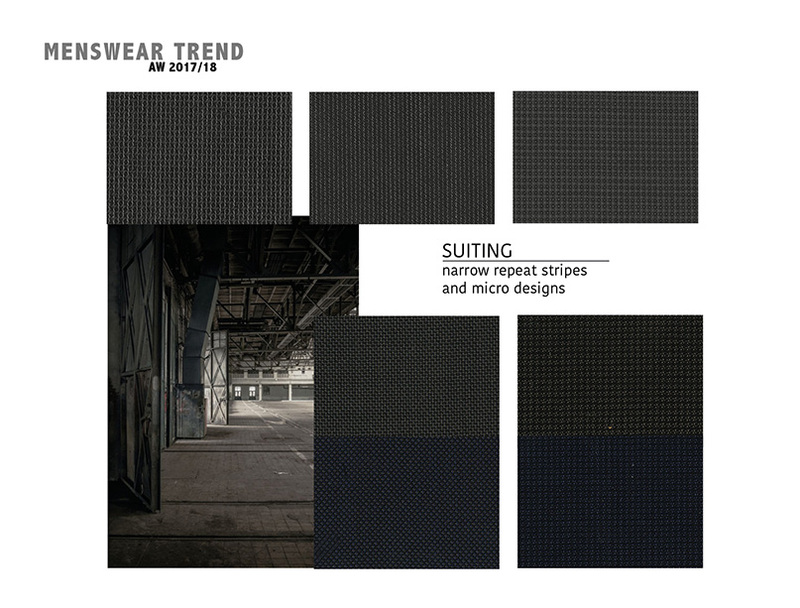 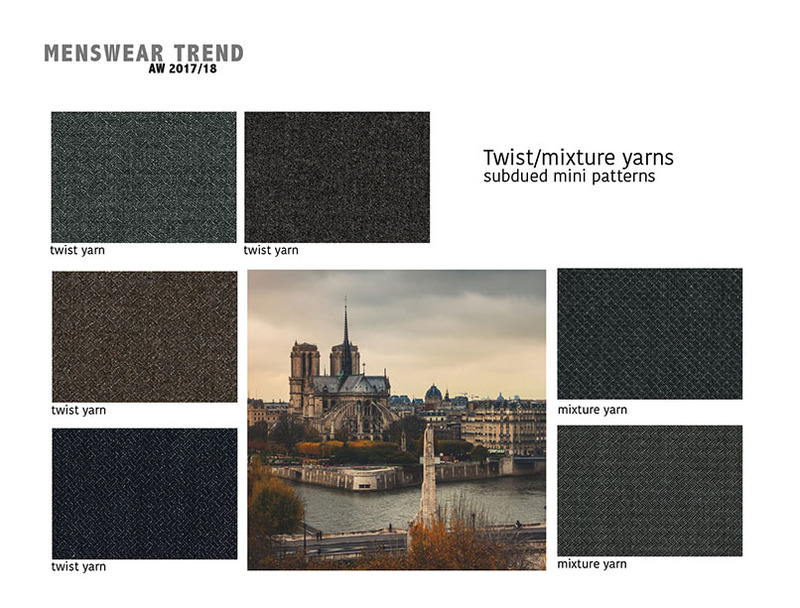 Italtex - the leading Italian studio publishing Fabric Trend Books since 1959 and revealing the latest fashion trends on colors, materials, yarns, weaves, patterns and finishes for apparel fabrics - has presented the menswear trends for Fall-Winter 2017/2018. 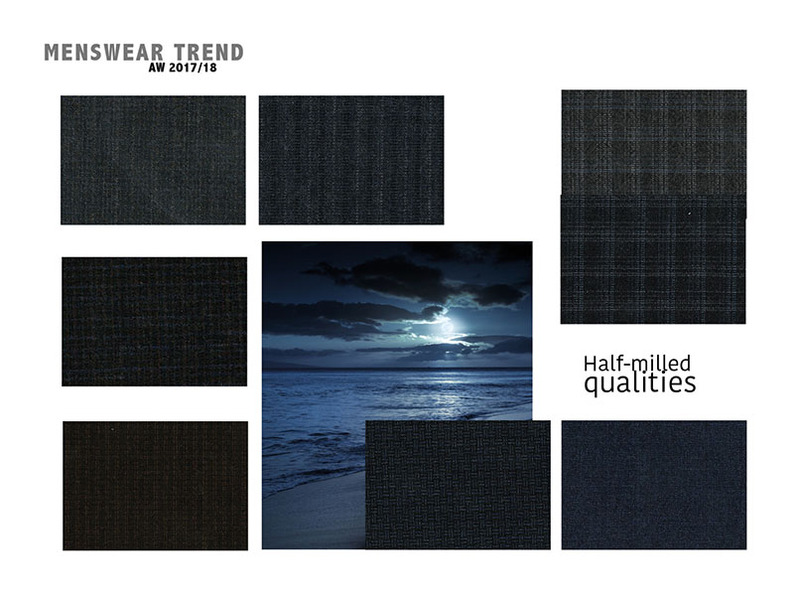 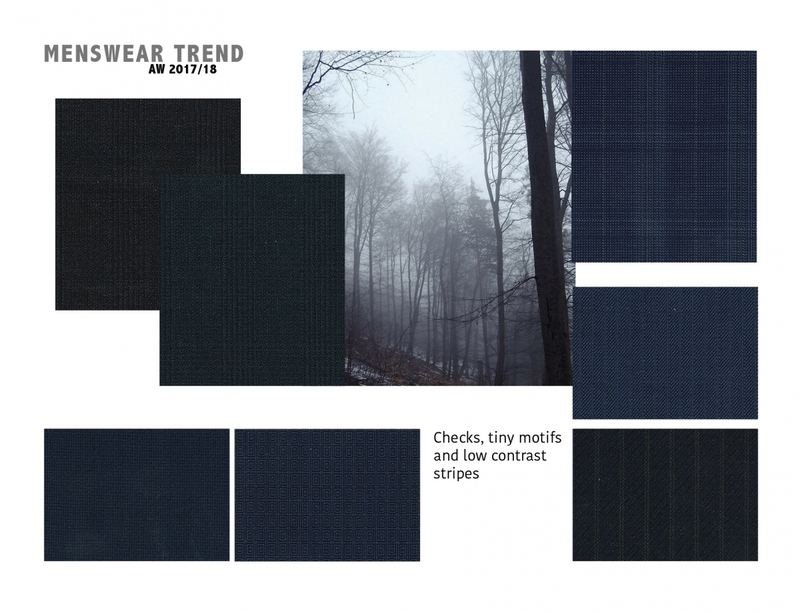 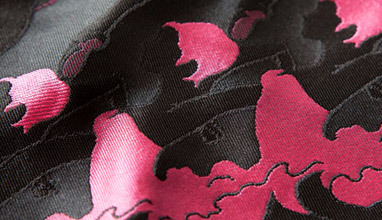 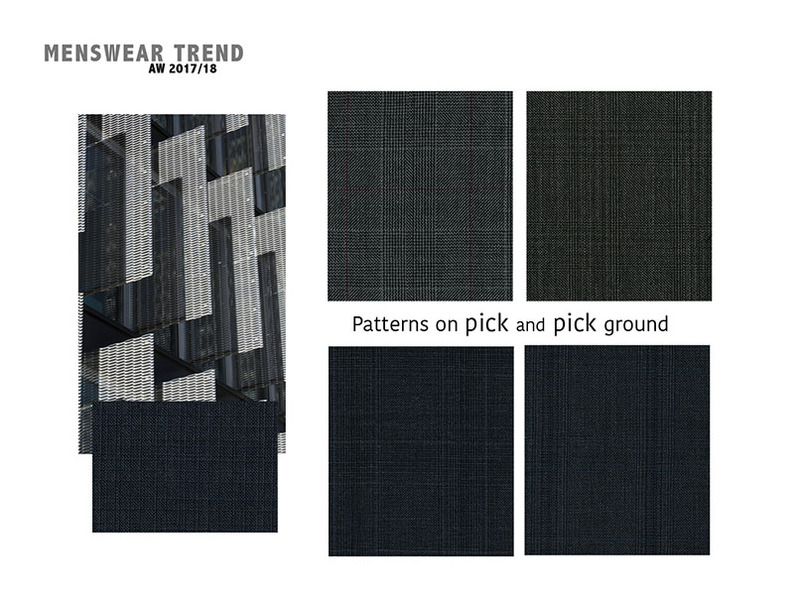 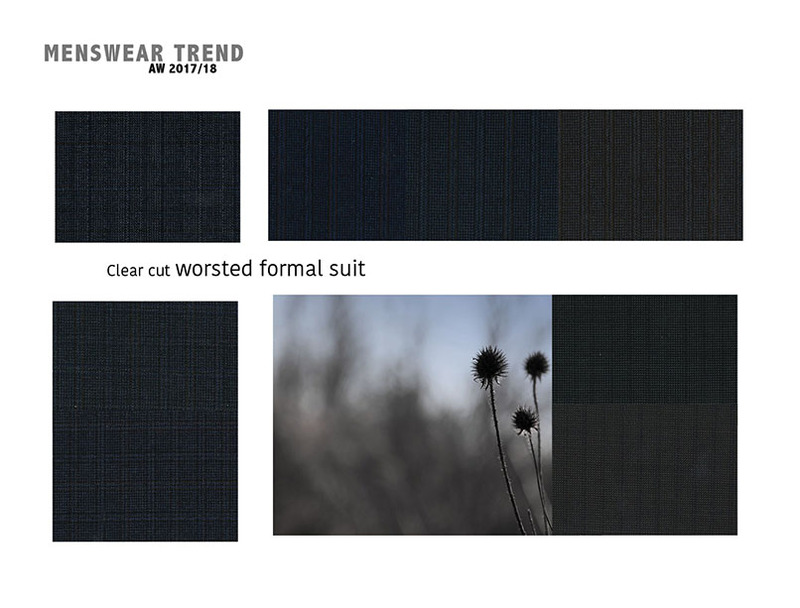 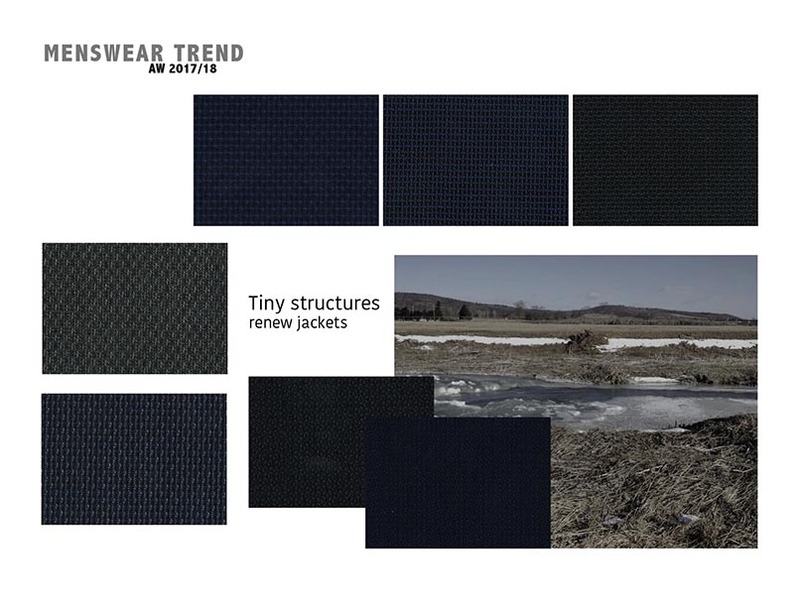 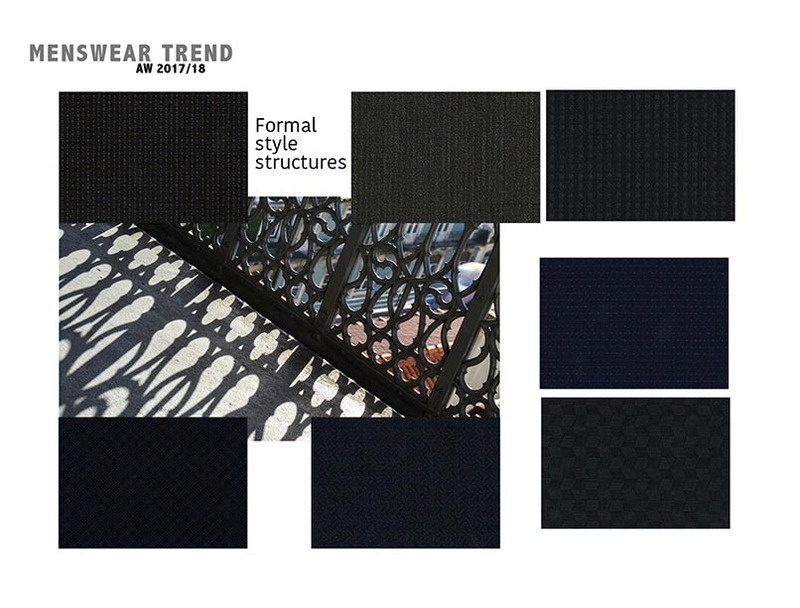 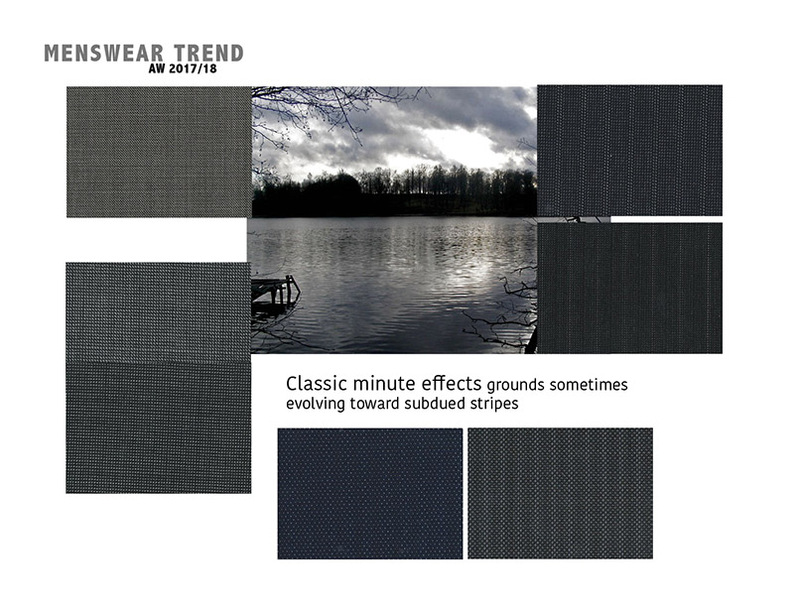 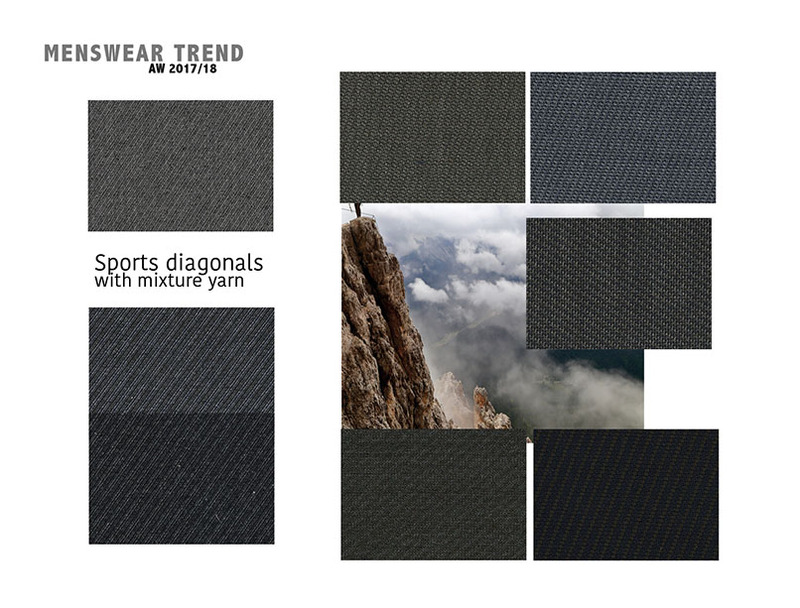 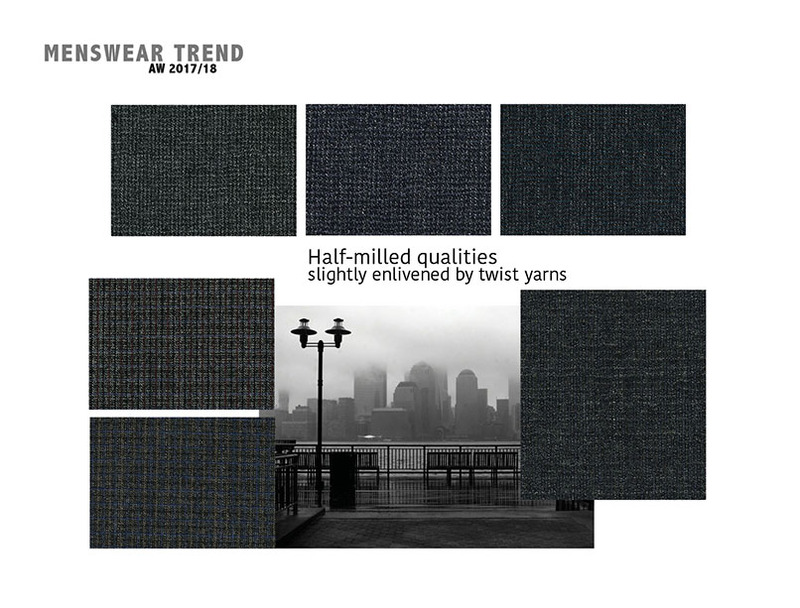 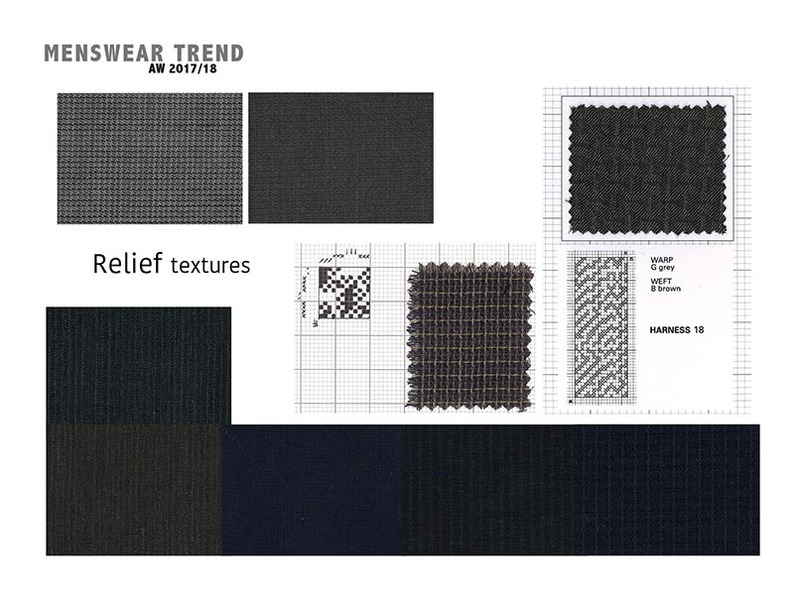 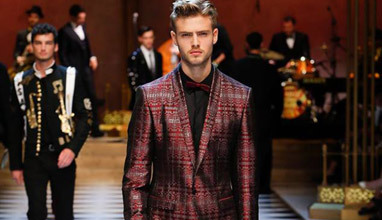 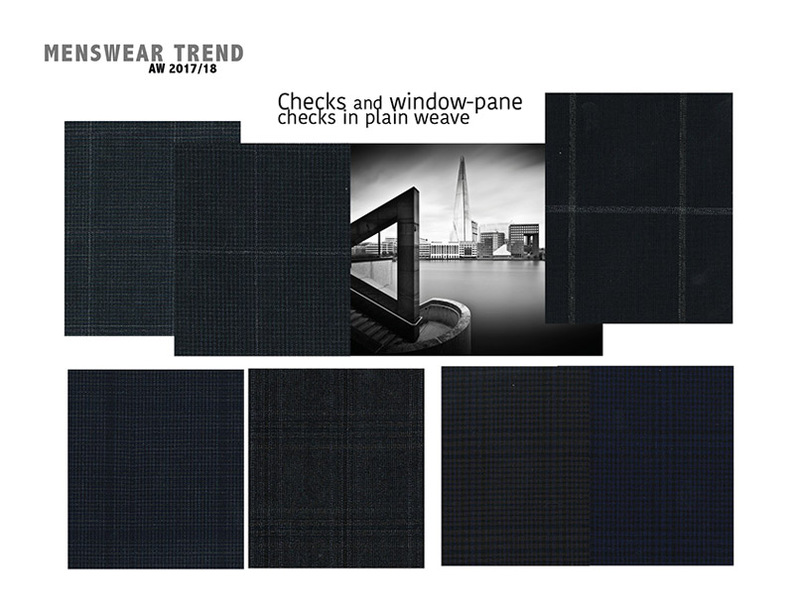 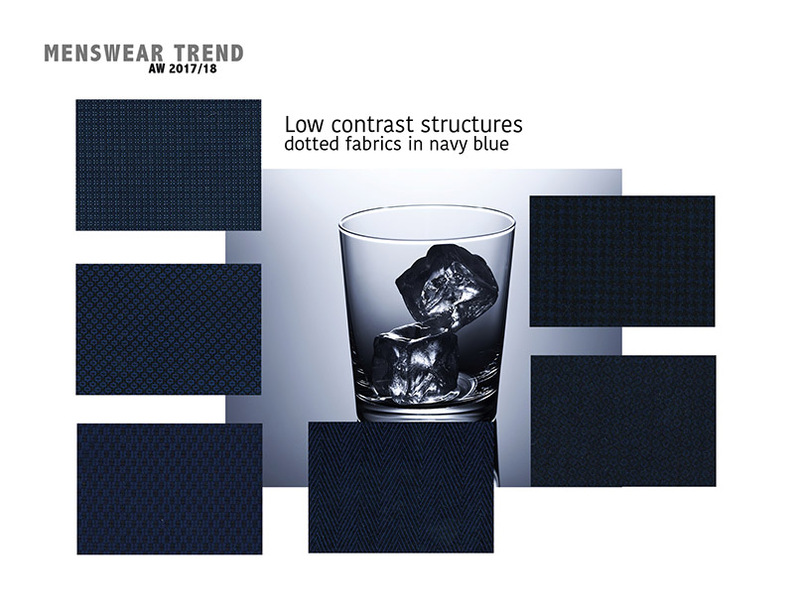 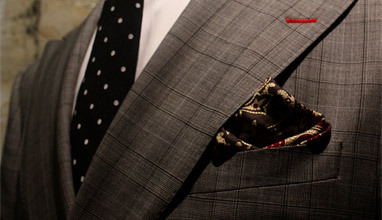 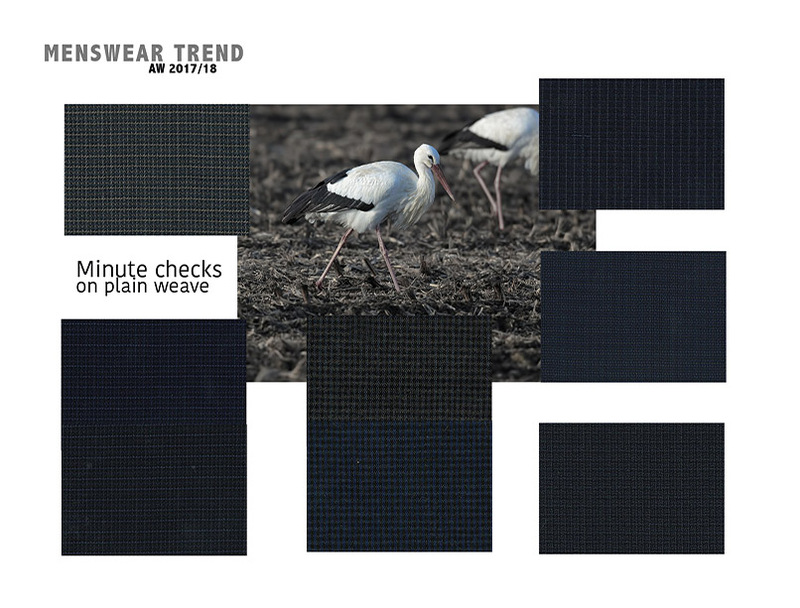 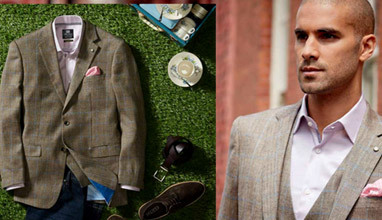 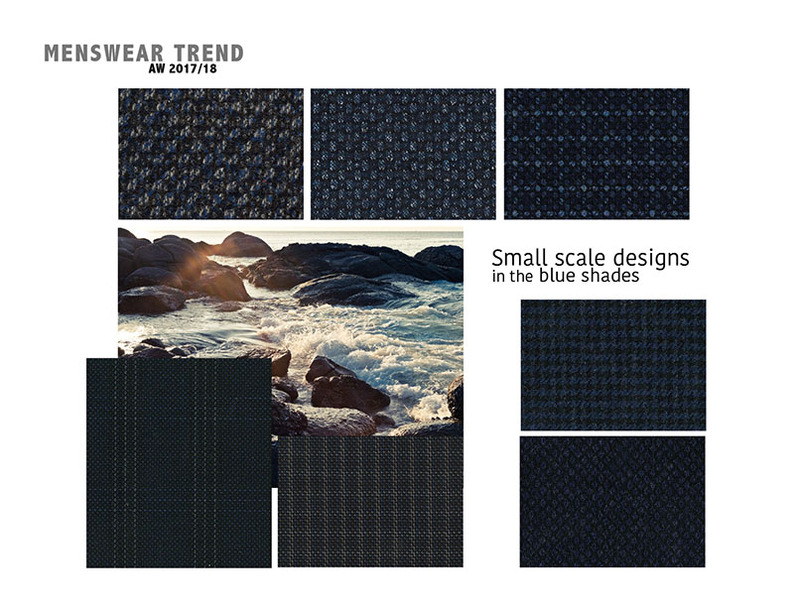 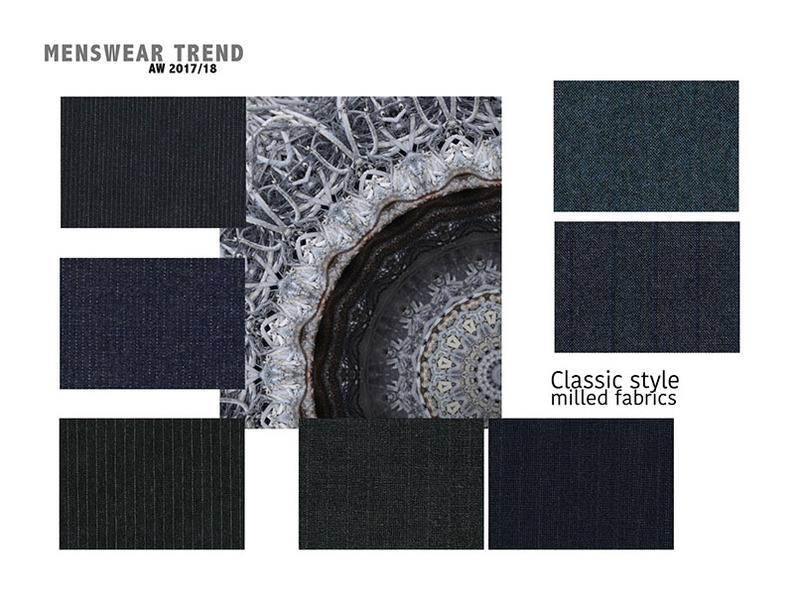 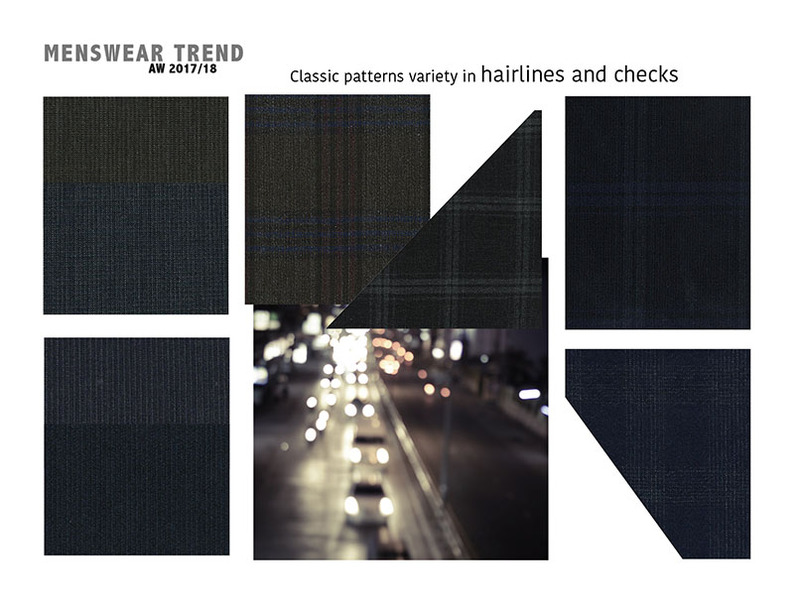 The formal and ceremony suit shows dark shades on uneven or jacquard grounds and sometimes micro patterns and small scale motifs as part of the design selection. 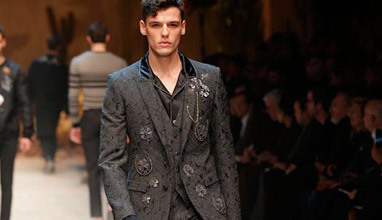 Always on dark grounds, designs heightened with lustrous decoration, twist on slightly slubbed yarn as decoration, contribute in enriching the business suit look.